Description: London, WM SSU [Wesleyan Methodist Sunday School Union] 2 Ludgate-Circus Buildings, E.C. 1880 approx. 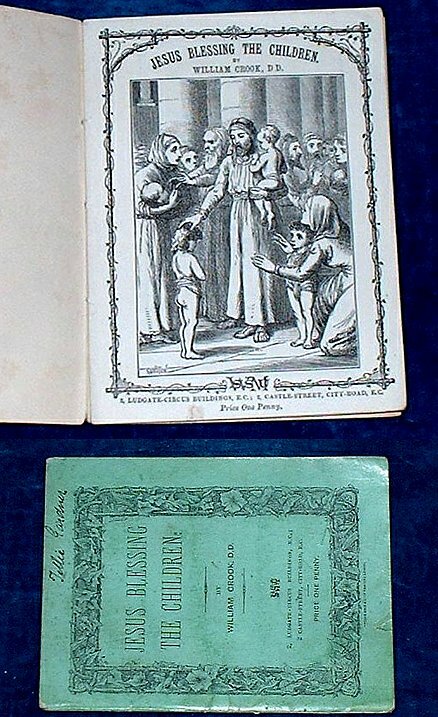 Engraved plates (3 full-page including titlepage) by Gunston et al. . 120x90mm green decorated card wraps cover with decorated surround, lower cover with other titles published by the Wesleyan Methodist SSU in 1870s. Neat name in margin of cover Jillie Gardner. *Rare Sunday School Union Methodist publication (no copies noted by COPAC).